This class is an extension of the wx.StatusBar in the wxPython distribution. 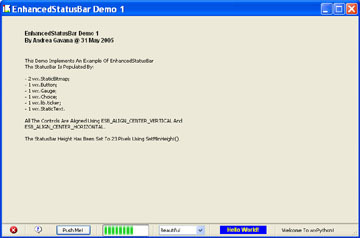 It allows the user to insert virtually every wxPython control inside the status bar of a frame. It is highly customizable, with a lot of options. 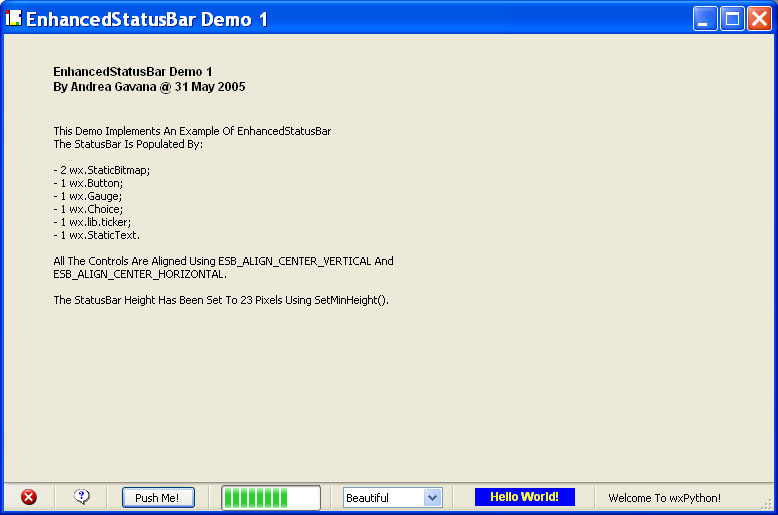 Thanks to Matthias (Nitro), now (22 September 2005) EnhancedStatusBar supports runtime replacement of widgets. Very nice enhancement of EnhancedStatusBar!